News and opinion on Manchester United's academy and youth teams. 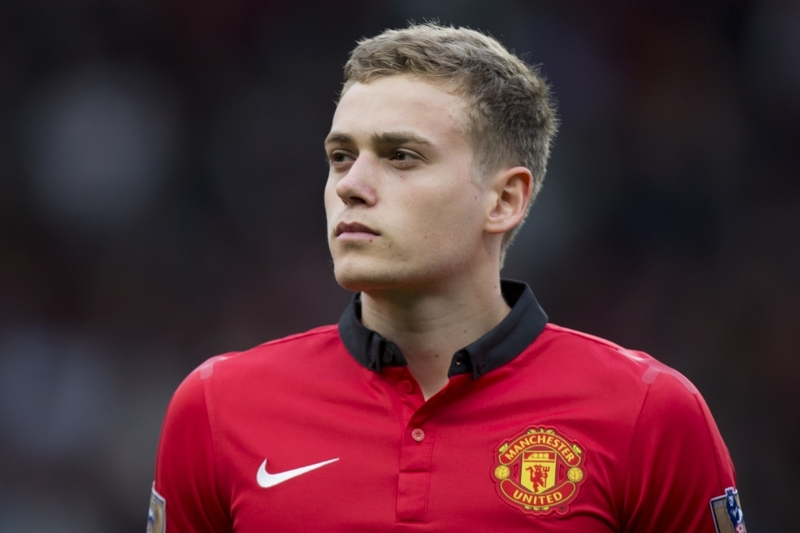 Viewed as a better prospect than Danny Welbeck by Louis Van Gaal this summer, high hopes surround James Wilson’s career having been described as a ‘natural goalscorer’ by the man who gave him his first team debut, Mr Ryan Giggs. Signed for United at the tender age of 7, Wilson’s potential leading the line was evident very early to club scouts. He has what many in the game feel you cannot teach…the instinct of a finisher. Scoring twice on his senior debut, Wilson’s tactically astute football-brain ensured his positioning and movement was executed perfectly as he announced himself amongst the club’s best players. Publicity surrounding Wilson intensifies with every reserve team brace with the four against bitter rivals Manchester City in the Senior Cup final 4-1 win nothing short of breathtaking. Clayton Blackmore coached Wilson at u-15 level and he has nothing but praise for the forward: “He was frightening,” he said. “In every session, he scored top-drawer goals. With Rooney dropping deeper and deeper in matches, Wilson is an old-school forward essentially. He plays on the last defender and a large portion of his movement is inside the box where he poses the greatest threat to the opposition. His versatility however was illustrated in that Senior Cup final game as he destroyed our rivals with a magnificent solo goal, breezing past City on a penetrative 40 yard run. Like all reserve players across the country, the biggest test is whether they can carry their form into the first team frame. The players are quicker. Stronger. Faster. It’s on a whole new level. Having been deployed in cameo roles so far this term it is rather difficult to assess Wilson’s current weaknesses. The physicality of the game could be brought into the debate against the best defenders, with Vincent Kompany a prime example. Brought on with eight minutes remaining at the Ethiad earlier this season, Wilson barely saw the ball and was cast in Kompany’s shadow during his brief derby showing. If he is to go on and lead the United line in future he certainly needs to work on his physical prowess, commanding the ball if deployed as a lone forward. He is still raw at aged 18 and with similar remarks thrown over David De Gea at the start of his United career, his meteoric rise suggests there is little to fear for Wilson’s development. Wilson’s new shirt number – 49 – has been worn by just two other players in the past 11 years. The number was unused from 1993-2010 before real-life rebel, Ravel Morrison, assumed it for the 2010/11 season. Frédéric Veseli took hold of the number in the 2012/13 season but was unused, never making an appearance for the Red Devils. James Wilson will be the catalyst for change in the number’s luck after it’s two previous owners failed to make the grade. With Radamel Falcao struggling with his fitness since his deadline day arrival and Robin Van Persie struggling with club form, calls for James Wilson have intensified immensely since the start of October. Fans see him as a player who will produce a seismic shift upfront, providing high intensity and no fear, a cliched phrase pinned to rising youngsters in the game. He is viewed by the club’s hierarchy as the man to succeed current captain and striking stalwart, Wayne Rooney, as questions frequently arise about his position later in his career. Wilson can certainly boast something not many players his age can… glowing recommendations from respected figures. He is clearly of high regard as Van Gaal felt comfortable allowing both Danny Welbeck and Javier Hernandez to leave in the summer, the latter albeit on loan. It is surely only a matter of time before Wilson is unleashed onto the biggest stage once more: Premier League duty. Failure to do that this season could see him follow the lead of Nick Powell by taking up a Championship loan deal next term in order to gain regular first team experience.